Pumpkins are everywhere this time of year, from front porches to spiced lattes. 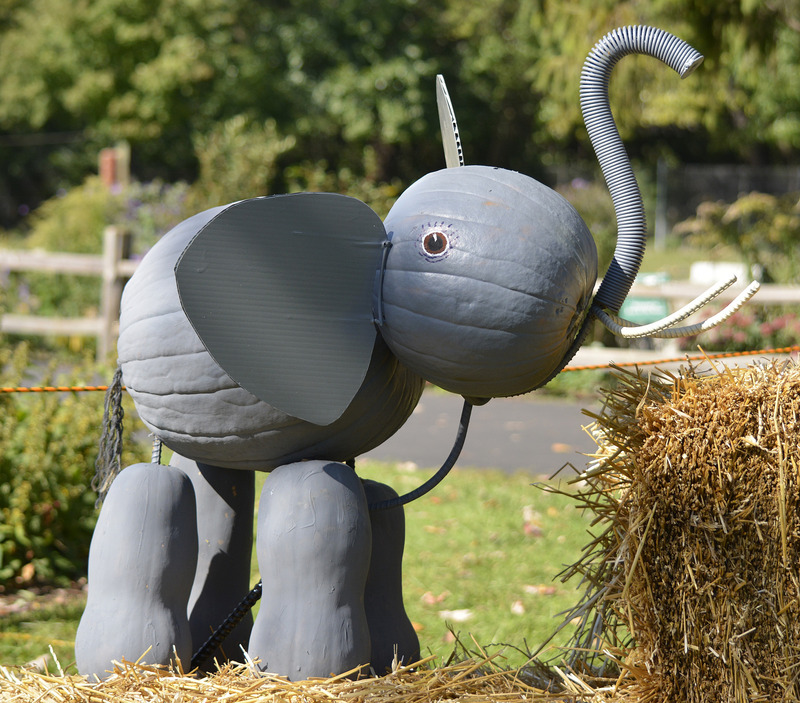 At the Detroit Zoo, you may notice pumpkins and gourds decorating the grounds, immersing visitors in the feeling of fall and generating excitement for Zoo Boo. You may also see them in animal habitats, where they serve a different purpose. The Detroit Zoological Society is committed to ensuring that each animal experiences great welfare, and this involves providing animals with engaging and stimulating opportunities. We work hard to create habitats that enable animals to display species-typical behaviors such as foraging for their food. Providing additional opportunities to interact with the environment, referred to as environmental enrichment, is one important part of that work to increase complexity and novelty. Each animal can choose whether to interact with these features – the ability to make choices is a critical factor in positive welfare. Furthermore, this can result in a greater diversity of behaviors, another indicator of positive welfare. 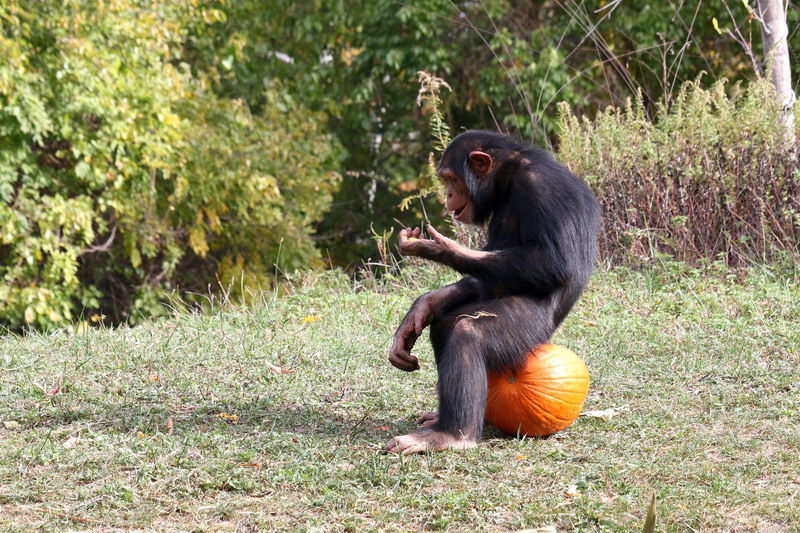 Pumpkins are given out whole or are carved to hide other edible items, and placed in different locations for various species, all depending on the behaviors we are trying to encourage. 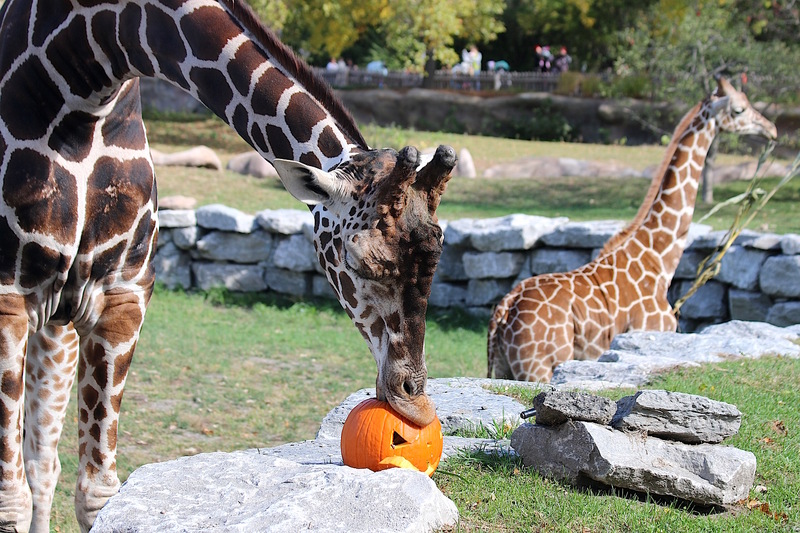 While pumpkins and other seasonal items are a fun way to accomplish this during the Halloween season, the animals residing at the Detroit Zoo are provided with enriching activities daily by their dedicated zookeepers. 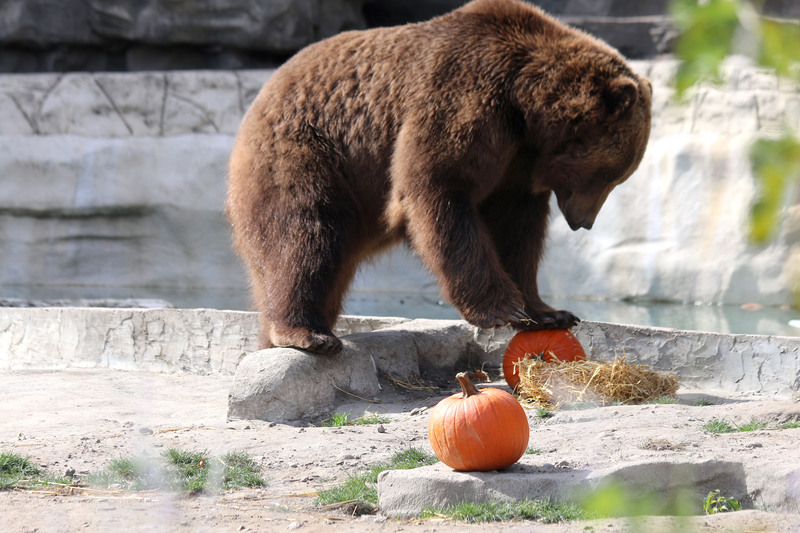 The public is invited to share in this experience and observe the animals eating, playing with, tearing apart and smashing their seasonal goodies during Smashing Pumpkins on Wednesday, October 12 and Saturday, October 22.